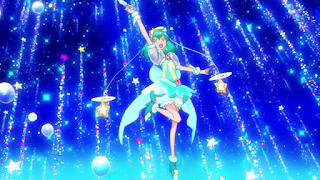 Hall of Anime Fame: Star Twinkle Precure Ep 2 Top 3 Moments: Cure Milky Making Waves! 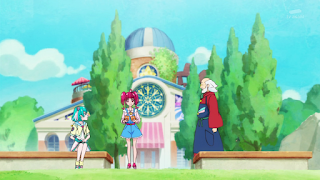 HALL OF ANIME FAME-A PLACE FOR REVIEWS OF ANIME, VIDEO GAMES AND MUCH MORE! 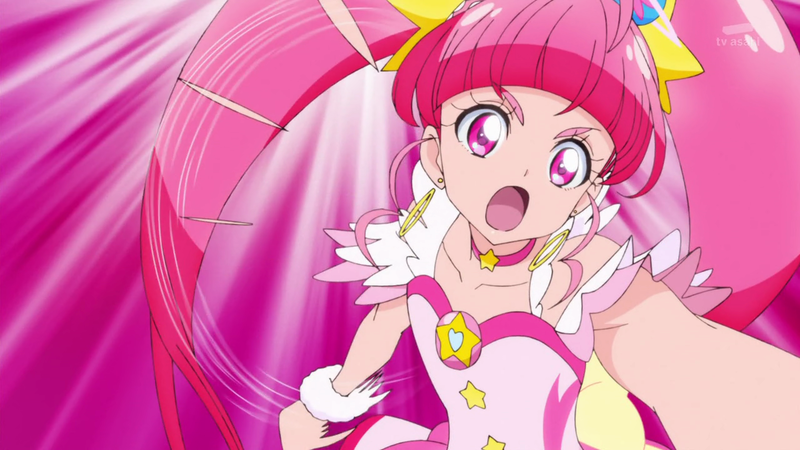 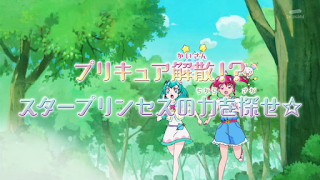 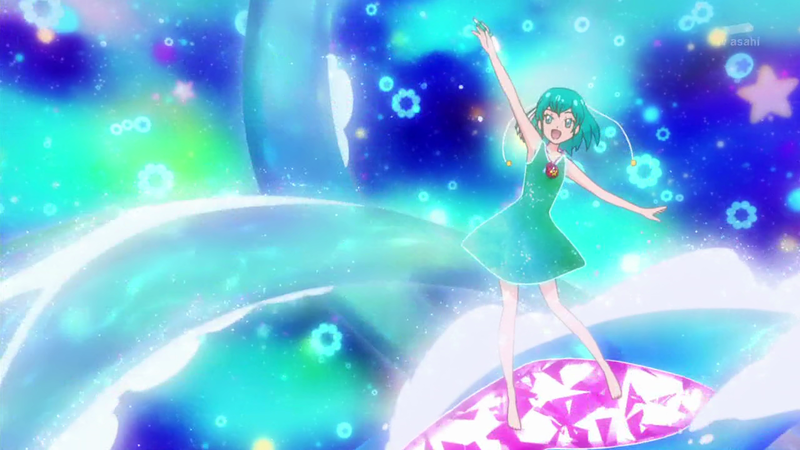 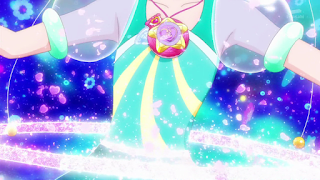 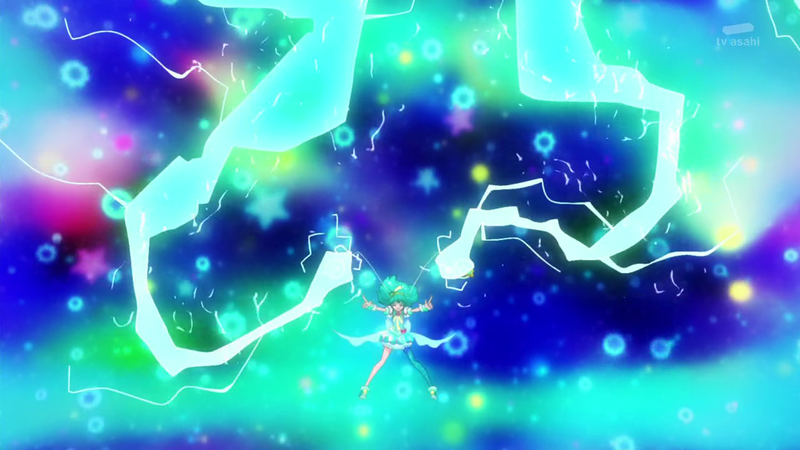 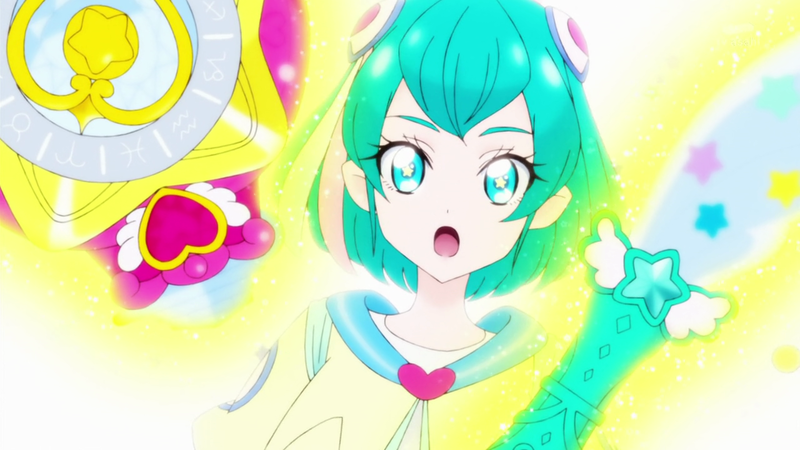 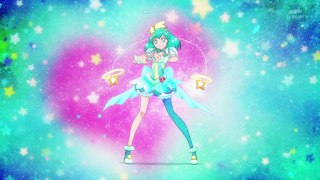 Star Twinkle Precure Ep 2 Top 3 Moments: Cure Milky Making Waves! 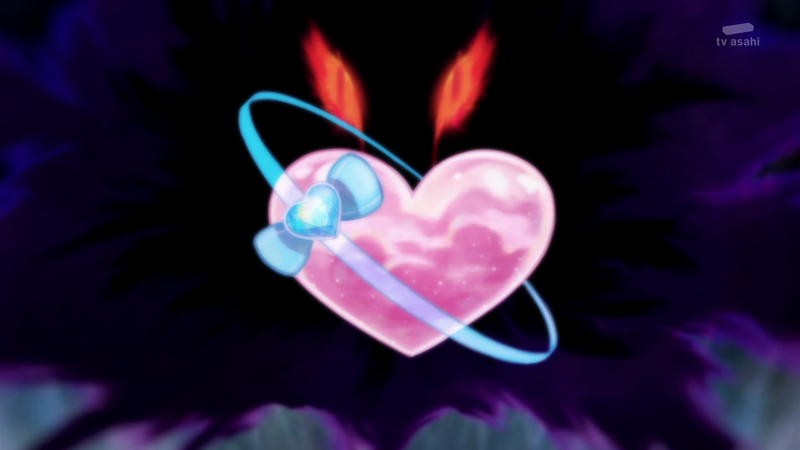 Kirayaba! 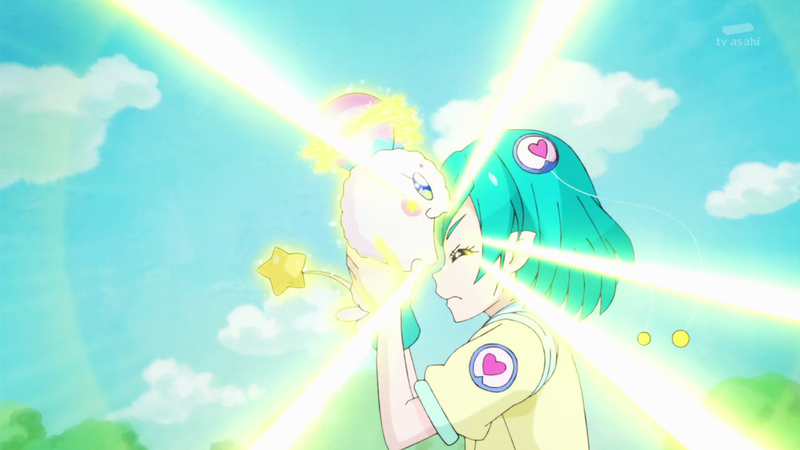 This is my review of Star Twinkle Precure Ep 2 and Lala wish to become a Precure too! 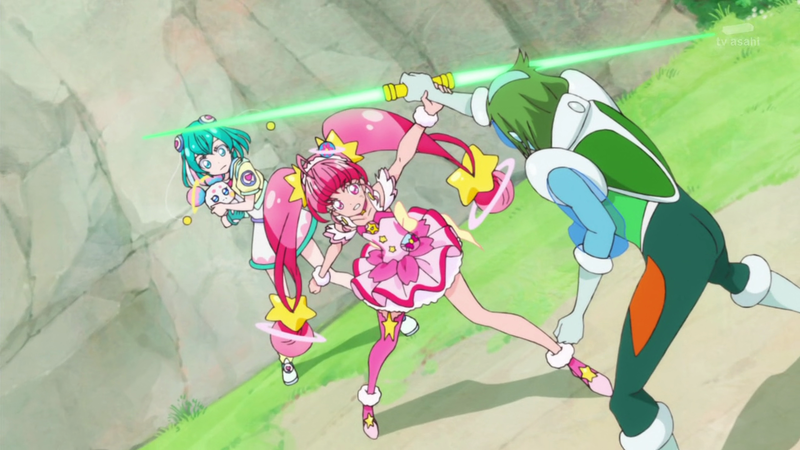 No 3: Lala's First Experience with Earth Culture! 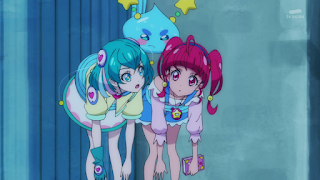 You do realise that Prunce has very "long tentacles." The things he could do with his tentacles..hehe! 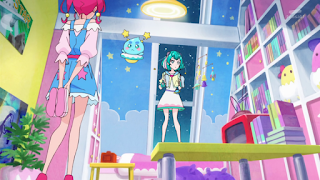 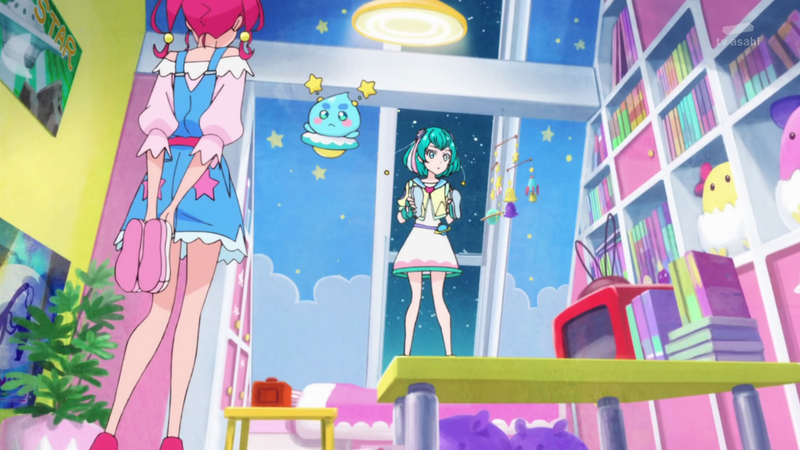 However Lala and Prunce entered Hikaru's room through the windows and she was amazed by the space related things by Hikaru. 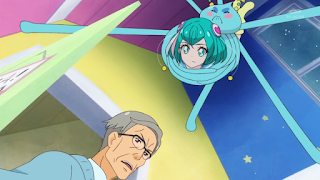 Hikaru explained that it belonged to her father and she took over his things. Hikaru's Grandpa entered the room to tell Hikaru that dinner is ready, he was kinda of pissed after seeing her father's items on the table. 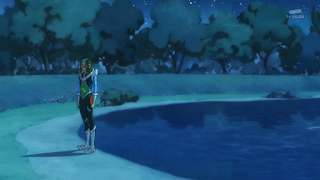 Lala returned back to the space and asked the ship's AI computer on the possibility of Hikaru and herself becoming Precures and the numbers was less than 1 percent. 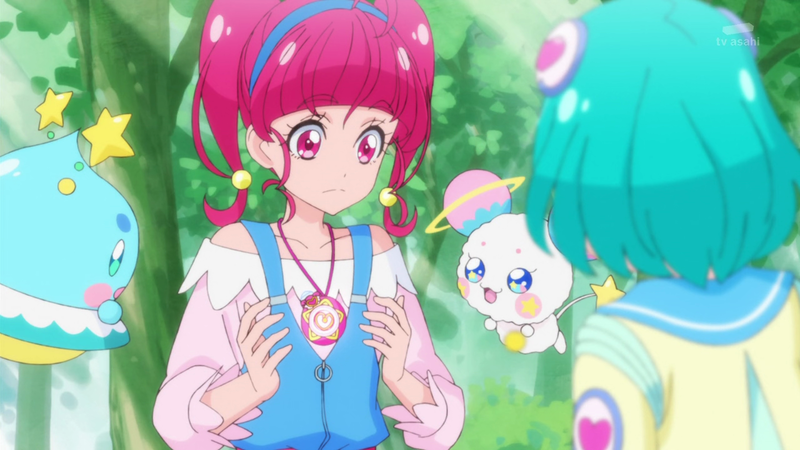 Hikaru arrived with a basket of Onigiri but Lala showed her that she can survive with Cosmic Gummies. 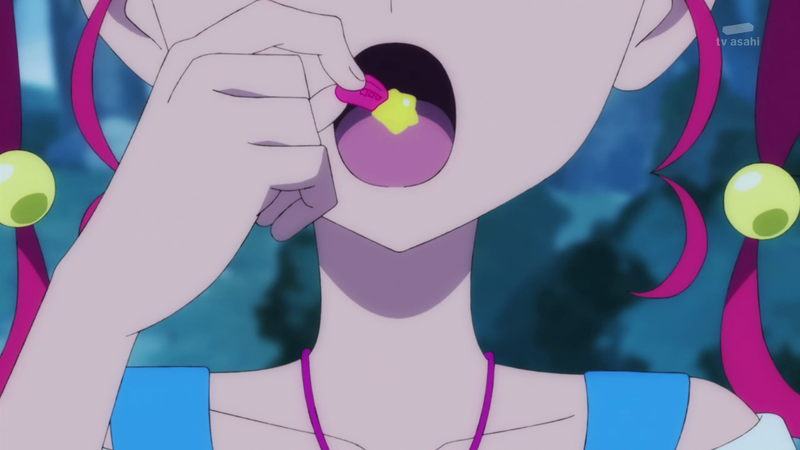 Buy our Cosmic Gummies! On Sale now! 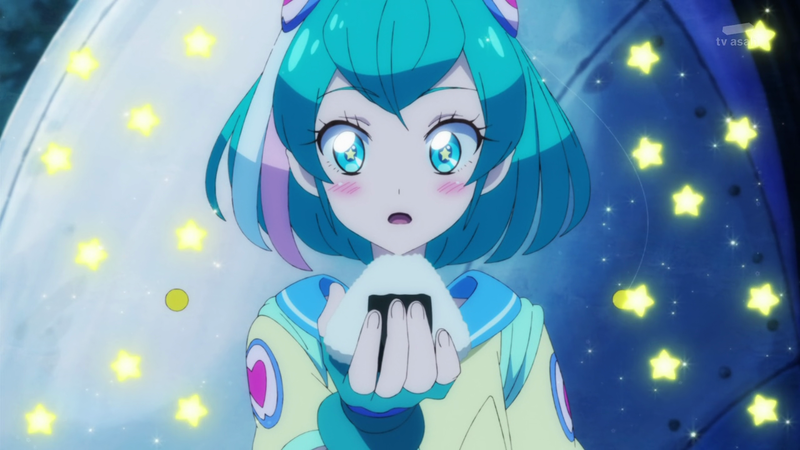 Jelly Donuts!? 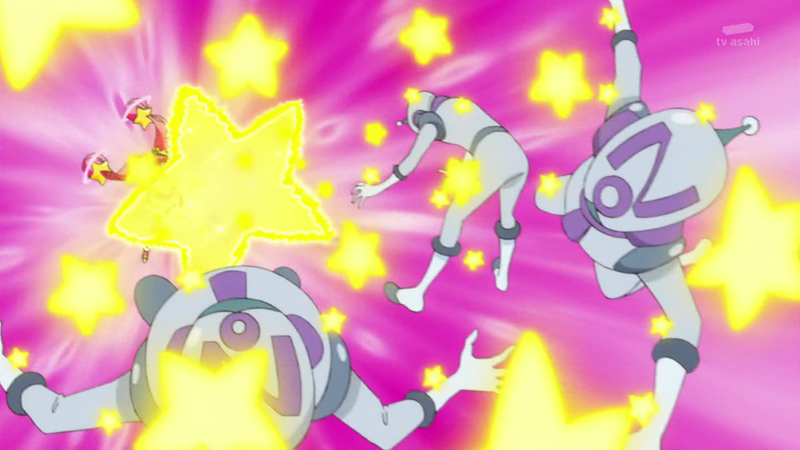 Pokemon Bad Joke! Hikaru took one and was loving it. 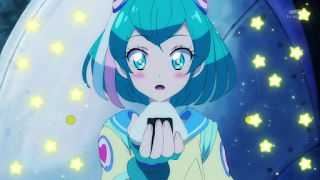 Lala also took a bite of the Onigiri and claimed it is delicious too. Hikaru took off and promise to look after Fuwa and Prunce at home. 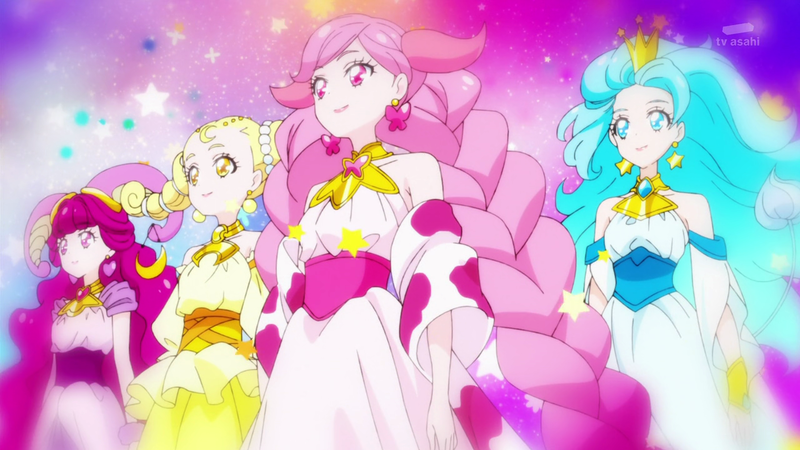 No 2: The Star Princesses and Knot Raiders! This is how we greet Lala by touching her balls! 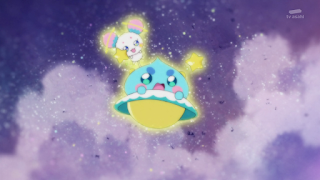 The next day, Prunce explained that he and Fuwa came from the planet Star Palace which is ruled by the Twelve Star Princesses however the Knot Raiders invaded the planet and both Prunce and Fuwa were send away in order to keep them safe. 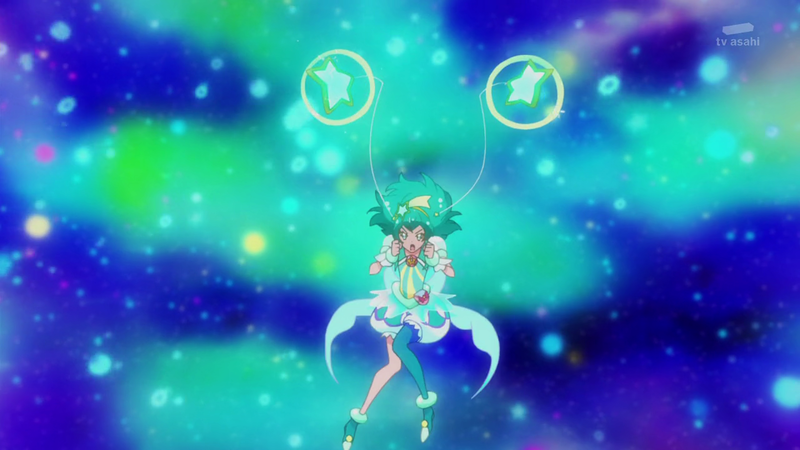 The Star Princesses then used their power to stop the Knot Raiders however in the process, lost their powers and were scattered throughout the universe. Lala was investigating the strange readings nearby and saved Prunce and Fuwa. 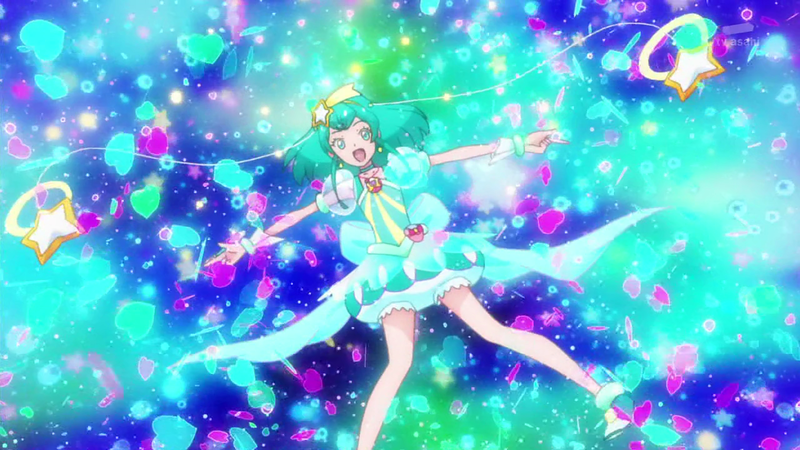 No 1: Cure Milky on Stage! After a close encounter with Ryo Ojisan, (which oddly enough, he doesn't seem surprised to see Lala in her getup) Hikaru asked Lala if she wanted to become a Precure in which Lala replied it is impossible based on the ship calculations. However Hikaru claimed sometime you got to trust your feelings and instinct and not rely too much on technology. Kappard ambushed the girls and Hikaru transformed to Cure Star and hold off the minions. 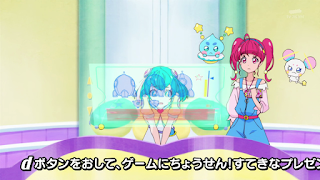 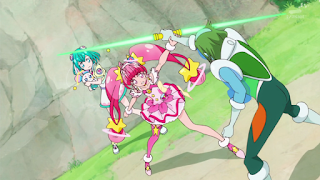 Kappard cornered Lala and Fuwa and Cure Star told Lala to believe her feelings if she want to become a Precure. 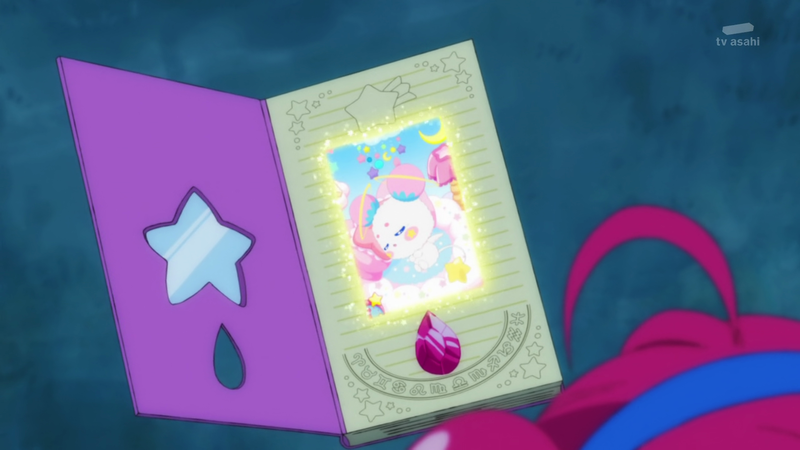 Lala then confessed to Fuwa that she wanted to protect her and Lala was granted the Star Color Pen and Pendant. 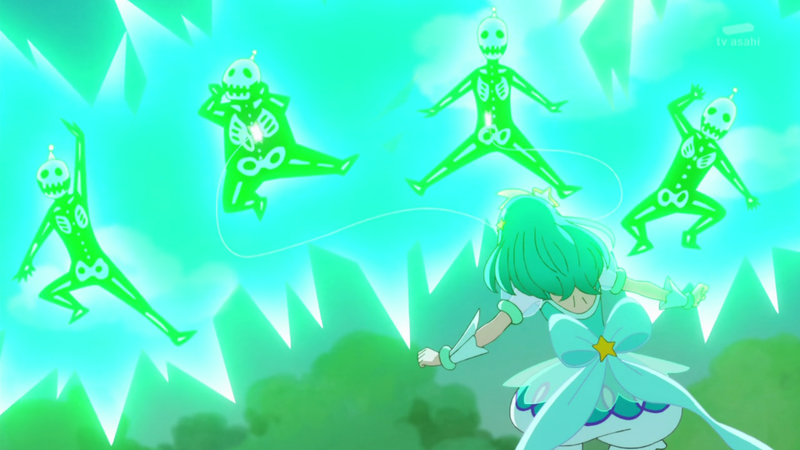 Lala transformed to Cure Milky and easily took down the minions and even used her special attack-Precure Milky Shock to force Kappard to retreat. This episode was pretty interesting as we get some back stories on Lala, Prunce and the world building for this series. 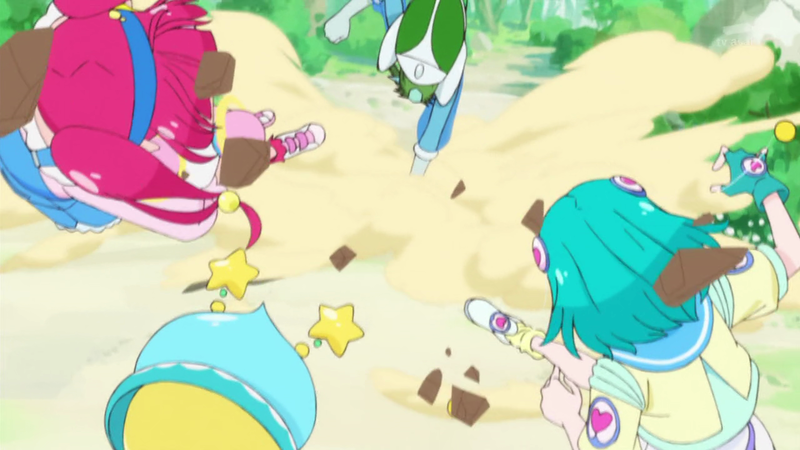 Look like there is some kinda of Space Enforcement organisation that maintain order in the universe. 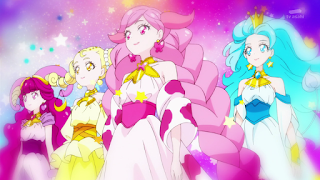 (Kinda like the Galaxy Police from Space Sheiff or the Galactic Patrol from Dragonball Super) It will be fun if Toei will do a crossover between Star Twinkle and either one of these series to expand the universe. I am also wondering if Hikaru's father is still alive or probably overseas. 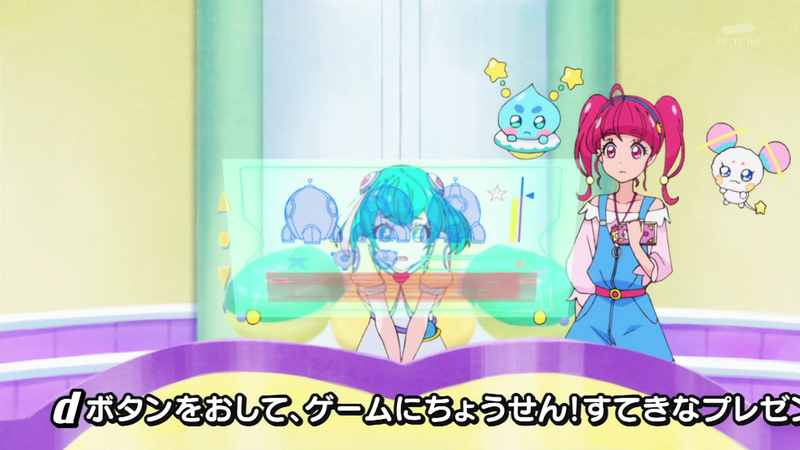 Perhaps her father might play a part in the future like how Riko's father discovered clues about Deusmast and looking at Hikaru's Grandpa disgusted look on his face in Hikaru's room, something must have happened between them. 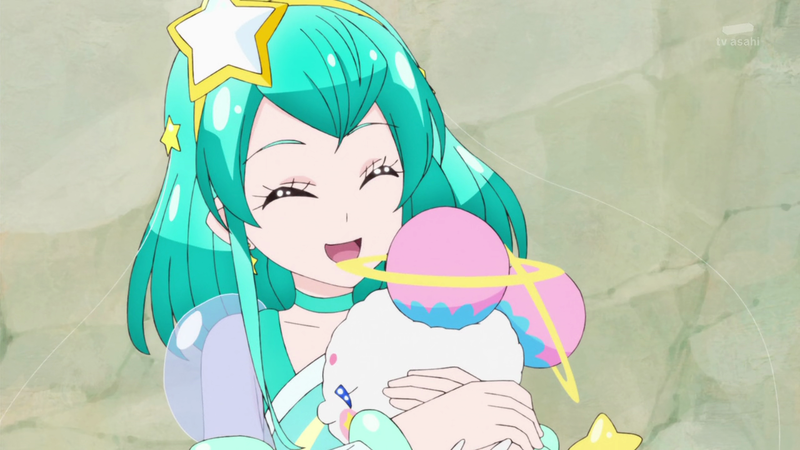 We also get to know that Lala's alien race has different cultures since 13 earth years mean you are an adult according to her race. 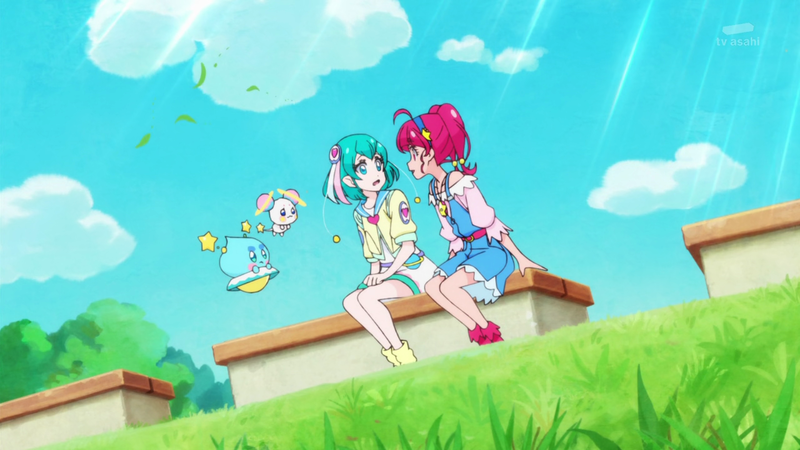 But you can guess that Lala will probably behave like a normal teenager eventually after interacting with Hikaru and company. 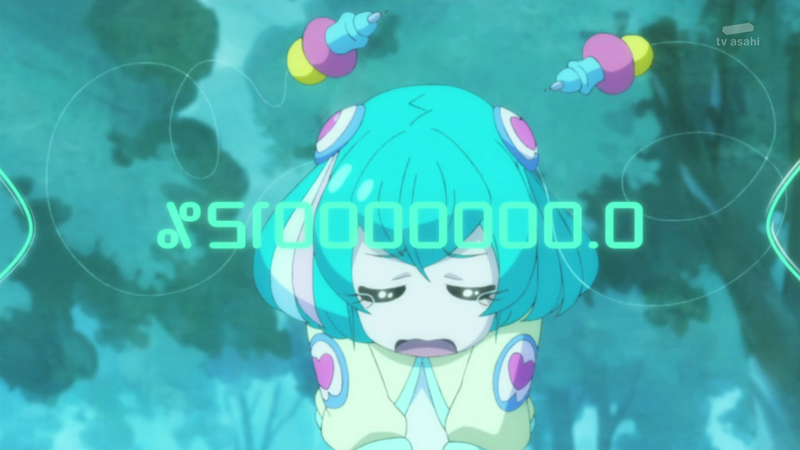 Lala is also a girl who rely on technology and logic thinking. 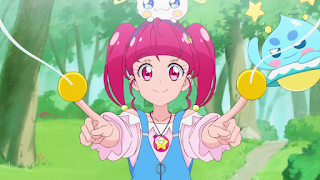 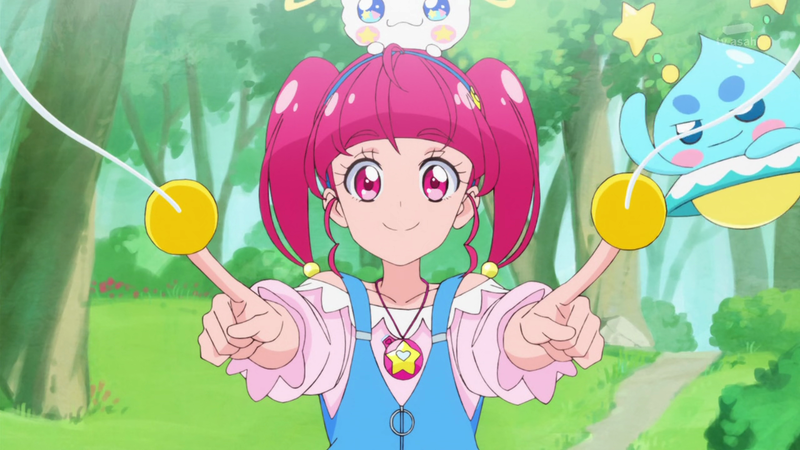 After seeing the chances of becoming a Precure is less than 1 percent, she nearly gave up hope but Hikaru is a girl with a lot of gut feelings, she gave Lala the push to believe in herself and finally becoming Cure Milky. Until then, see you in the next post! Hugtto Precure Ep 49 FINAL: A New Life, A New Future! 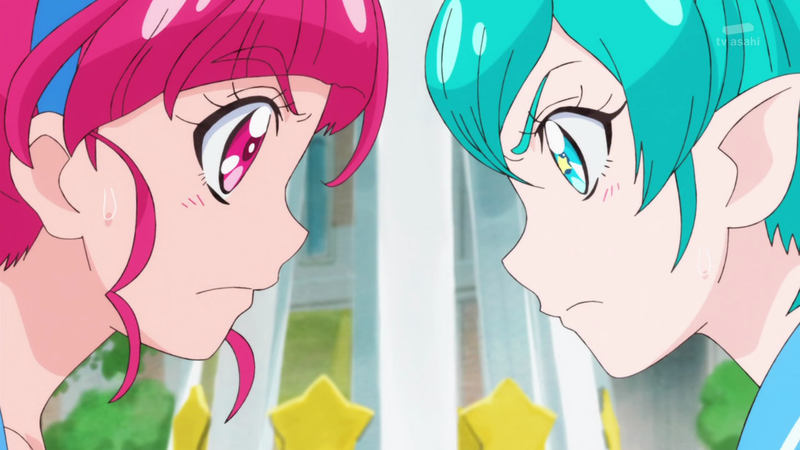 Dog Days S2 Ep 10: The Heat is On!